Despite the massive popularity of mods among PC gamers, very few developers open up mod support to console players. There are plenty of logical reasons behind that (such as the expense associated with manually approving console mods), but it still represents an unfortunate lack of parity between the gameplay experience of a console and PC user. However, things have been changing slightly over the past few years. Bethesda was one of the first major companies to open up the world of mods to console players with Fallout 4. 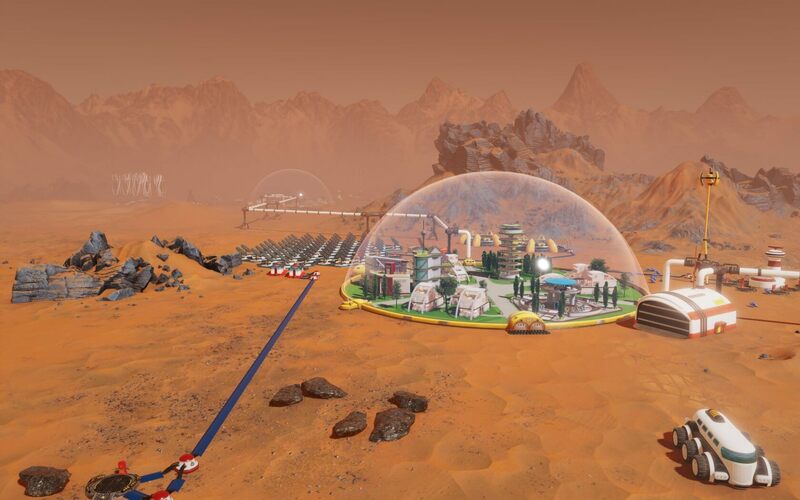 Now, well-known strategy game publisher Paradox Interactive is following suit beginning with Surviving Mars, the space-themed city-builder developed by Haemimont Games. To accomplish that goal, the publisher has launched Paradox mods, a website that hosts mods for both Xbox One and PC users - according to the company, any mods that PC users have access will automatically be available for console players. The difference between Paradox's solution and Bethesda's is that the former's will not require manual mod approval - instead, mods can simply be uploaded to the platform, and they will be reviewed by staff after the fact. Surviving Mars won't be the only game to receive console mod support. Paradox hopes to bring the same features to all of its Xbox One games sometime in 2019.